Laurie Hosey has a passion for children, summer camp, and Jesus. Mission 360° recently talked with her about the impact and needs of Camp Polaris. 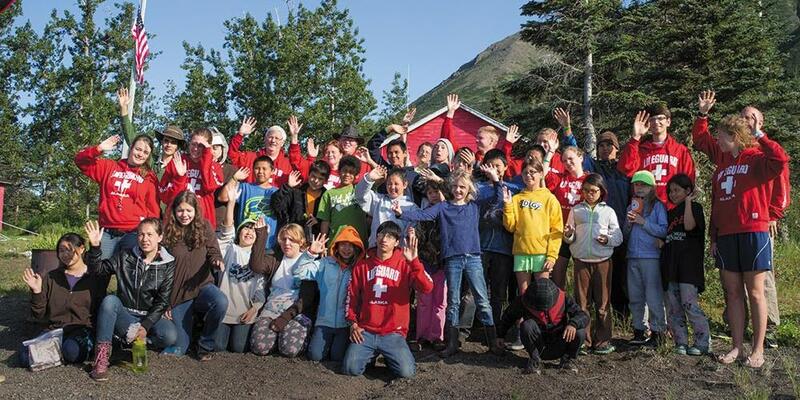 Nestled between Lake Aleknagik and Jackknife Mountain in southwest Alaska is Camp Polaris, a tiny mission camp with a huge heart. One of three summer camps operated by the Alaska Conference of Seventh-day Adventists, it gives community children an opportunity to grow in their relationship with God, discover new skills, and enjoy fun activities in a remote, pristine setting. M360°: Laurie, what is the family situation like for the campers, and what issues do they struggle with? Laurie: Many of them come from impoverished families where drug addiction, alcoholism, and abuse are common. Suicide is prevalent, especially among the young people. At camp, they’re able to put their struggles aside and just be kids for a week. It’s like a little bit of heaven for them. M360: What changes have you seen in the campers? M360: I understand that you’ve seen a difference in some of your more challenging campers this week. Laurie: We had a group of boys who came with a tough-guy attitude. We had a memorial service for one of our campers who passed away, and these boys put their arms around their friends who had lost their sister and cried with them. After this experience, they were helpful and respectful. To see them change from “I’m a tough guy” to “I’m here to help” is very rewarding. M360: Does the condition of the buildings affect the camp’s ministry? Laurie: If we had updated facilities, including larger, warmer cabins, I think we could accommodate more children and extend our camp schedule. M360: What updates are needed? Laurie: The lodge is too small to accommodate the children and, like most of our buildings, is fifty years old and full of gaps that let in the cold. If we could keep the kids well rested, warm, and dry, I think they would be even more receptive to the gospel. M360: What are the greatest needs? Laurie: Mattresses for the campers—many of them sleep on a piece of cardboard on a hard bunk. And a bathhouse that would provide flush toilets and hot showers. The children are often wet and cold, and sometimes they get hypothermia. Currently, the only way to warm them is to build a fire in the sweathouse and wait for steam. Time is of the essence out here. It takes an hour and a half for emergency help to arrive, and we don’t always have that long. M360: This quarter’s Thirteenth Sabbath Offering will help Camp Polaris acquire mattresses and a bathhouse. Is there anything that you would like to say to our church members? Laurie: Yes, thank you so much for supporting this mission camp that helps our campers and community develop a closer relationship with God. I very much appreciate anything you can do! To learn more about Camp Polaris, please visit www.alaskacamps.org.